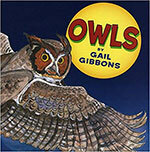 Depicts numerous species of owls and discusses their biological similarities as well as differences. 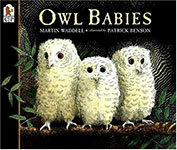 A tender tale in which the owlets wait with great anxiety for their mom to return  and at last she does. 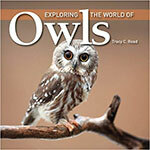 How do owls capture prey and defend themselves? How are their wings designed for silent, gliding flights? Saturday, October 13th, 10 – 11:30 a.m. Here is a chance to bring your kids to a beautiful location at a colorful time of year. There will be activities for families or individuals to participate in at certain locations during the walk. Meet at the main parking lot at Oakdale and dress for the weather. If you have questions or if weather looks uncertain, call Richard Benning at 815-865-5279. What bird cleans itself with mud, dances and bugles? The Sandhill Crane! If you were standing outside in certain areas in North America, you might hear this sound: “Kar-r-r-o-o-o! This very loud, rattling sound would be coming from this large bird called a Sandhill Crane. These are among the oldest living birds on our planet. Believe it or not, they have been around for about 2.5 million years! 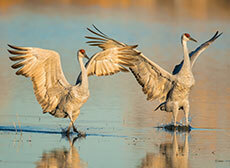 Most Sandhill Cranes are just under four feet tall: that might be just about as tall as you are! If they spread out their wings and you measured it, it would be six or seven feet wide! These are BIG birds! 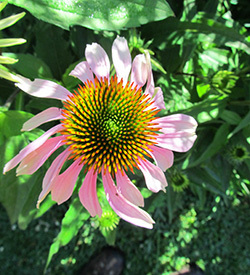 Look for them in fresh water wetlands or grassy meadows. They have long, thin, black legs and a very long neck. They have gray feathers and have reddish skin on the top of their heads. These birds are migrating right now so if you drive out in the county near a wetland or marshy area, you might just get to see one. They make a sound called “bugling,” often so loud they can be heard miles away. During migration, this bird can travel 300 miles in one day but if they have a good tail wind, they can travel 500 miles in a day! Maybe you can make a trip to Nygren Wetlands near Rockton and spend some time looking for these beautiful birds. You will be treated to views of many birds there, so take your bird book and some binoculars! There are many leaves strewn on the ground: pick one up and ask your children to find another leaf that is the same color the same shape. This seems simple, but many kids group all leaves together and may have never noticed the different shapes. 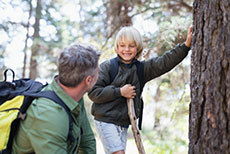 Put your hand on a tree and ask your kids to find a similar tree. Ask your kids to notice the texture of the bark or the shape of the leaves. 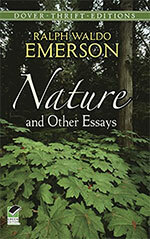 It isn’t necessary that they identify the tree as oak or maple, just encourage them to notice that all bark is not the same and not all leaves aren’t the same shape. Then, depending on the ages of the kids, you may want to do some simple tree identification. But the most important thing with this is just to notice differences. 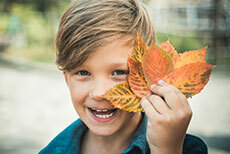 Have your kids collect some leaves and have each one choose a favorite. Have the child observe that leaf closely. Take that leaf and choose another 3 or 4 leaves for this game. Have the child stand in front of you with hands behind their back. 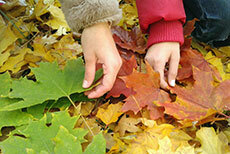 Set a leaf in the child’s hand and have them examine the leaf with their fingers. Is this their favorite leaf? 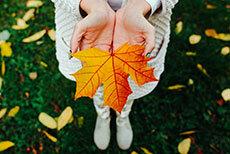 Try one leaf after another until the child identifies the favorite leaf by touch alone. Can they tell you what the identifying feature was? If there are several kids, they can pair up to play the game. Have your kids collect as many leaves as they can in 15 seconds. 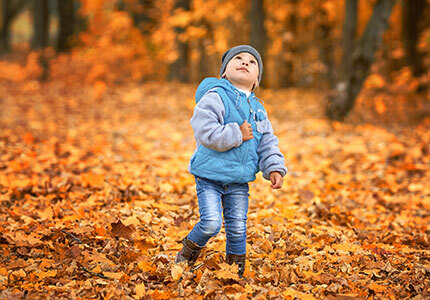 Clear a spot on the ground and have the kids sort the leaves into whatever groupings they would like  can group by size, shape, color, insect damage or whatever works in that setting.